Sadly, the music festival season is non existant for me this year. 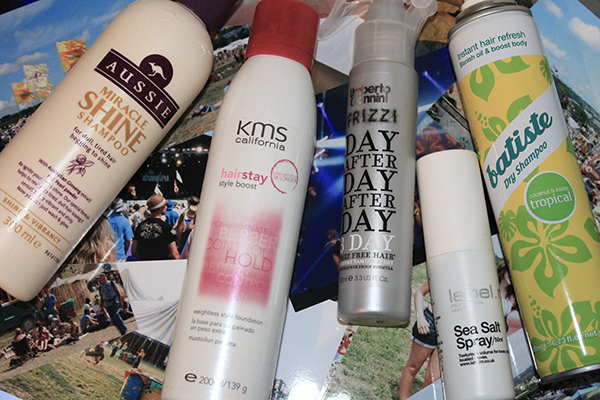 For the past three years I’ve been to both Glastonbury and T In the Park and along the way I’ve came up with some helpful tips on how to keep your hair lasting throughout the whole time. As someone who has to wash their hair everyday it was tough adjusting to the fact that I’d be unable to wash it for 4 or 5 days, eek! Of course I’d be armed with my Batiste Dry Shampoo incase of emergencies but I came up with a solution on how to make it last even longer. Before you leave for your festival of choice, I’d suggest washing your hair with shampoo and conditioner at the very last minute. I mean literally finishing drying your hair and hopping on that coach! I’d recommend products easy to wash out of your hair with little risk of product build up, Aussie Miracle Shine might be a good choice. Once you’ve washed your hair, it’s time to prep it before drying. I find the KMS California Hair Stay Style Boost mousse amazing at making your hair last longer. It gives a sort of texturised feel to the hair, makes it a little less soft so it’s in the perfect condition for styling. On top of that you might want to add a little spray of the Umberto Giannini Frizzi Extreme Taming Spray*. This simply tames your frizz and makes your hair more weather proof. 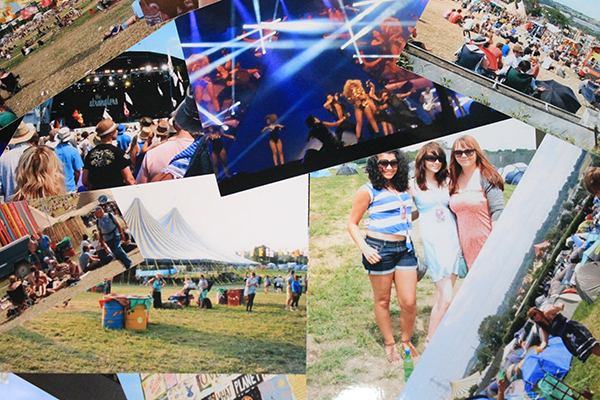 If you’ve ever been to a festival, you know how the weather can be very unpredictable! My first Glastonbury festival was scorching hot throughout and my last one was raining 80% of the time, always be prepared! Once you’ve completed those steps and dried your hair I’d recommend spritzing a little bit of Label.m Sea Salt Spray* onto the middle/ends of your hair. This gives it a little more texture and helps create beachy waves without needing to use hair curlers. I find that you can go a bit crazy with Sea Salt Spray so spray away and scrunch the ends of your hair until you get your desired look. And thats it! It may seem like quite a lot of products but they're all dry based and won't leave a product build up on your hair. I found by having a routine like this my hair lasted for a lot longer than it usually does so I could have fun and not have to worry about it. To be honest when you’re out seeing your favourite bands you’ll probably forget all about it! Enjoy your festivals, and yes that is a picture of Beyonce at Glastonbury above!